I’ve noticed that New Year’s Resolutions are a bit out of style these days. Some say: don’t make them because you’re going to break them anyway. Years of people making unrealistic goals for themselves and then failing have led to people not bothering at all, even scoffing at the whole notion. However, I think that taking stock of the past year, and allowing yourself a fresh start, is a good idea. It’s not “new year, new me”. I’m the same me, but I want to set some gentle intentions for things I’d like to do it the year ahead. I also want to let you know about some things that are going to change on this blog. As years go, 2017 has not been my favourite one. The worst part of it was saying goodbye to both of my grandparents, who played a major role in my upbringing. It’s the first time close members of my family have died. Learning to live with my grief while continuing to function in daily life was very difficult for me. I developed a full-on anxiety problem, with heart palpitations/panic attacks. I eventually got mostly rid of it though, and found that exercise and mindfulness are key for me in keeping myself happy and avoiding anxiety. I developed new strategies to fit exercise into my busy lifestyle and have tried new types of exercise too. My big success was completing a 10k race in 1 hour and 16 minutes, having never run so far before in my life. Another fantastic success of this year was that I got a new job. I had a long notice period to work for my old one, so I’m not starting my new job until later this month. The new job is a complete career change but it is for an amazing and exciting employer, doing important work. I’m going to have a lot to learn and it’s pretty scary, but overall I’m looking forward to it and think it can only be a good thing. I have loved my current employer, but it had gotten to the stage when I had been there too long and just needed a change. I never thought I’d be able to move on so easily because of my flexible working requirements, so I am so happy I’ve found an amazing new employer who is happy to be flexible. Back to the downsides, just at the beginning of December I suddenly found a large lump in my breast. I went to the doctor straight away and was referred to a breast clinic. I was expecting them to say it was just a cyst, but instead I ended up with a mammogram, ultrasound and core needle biopsy. I have not yet had my biopsy results. So that is scary. It’s taken me a few weeks to feel normal again after the biopsy, but I’m now determined to just carry on as normal and think positively while I wait for the results. My biggest discovery this year was that exercise really, truly does make me happier. Of course, science supports this and other people told me that for years, but despite exercising on and off for many years, I never believed it made me happier until recently. Perhaps it is my age, but now I feel a noticeable difference in myself when I exercise compared to when I don’t. So my intention is to do as much exercise as I can in the new year. I have created a little calendar for January with a planned activity for each day. But I am not going to beat myself up if I don’t actually manage to exercise every day…I just going to be happy each time I can cross off another day of my exercise calendar. Another intention on the health front is simply to eat more vegetables and less sugar. I refuse to cut things out of my diet. I think that’s a recipe for disaster. But when I am not bothered about whether or not I have something unhealthy, I simply won’t have it. And I will not clean my plate unless I want to. Finally, I am also going to try and think positively and live in the moment. I am a great worrier and explorer of “what-ifs”. But, as my husband repeatedly reminds me, “what-ifs” are rarely useful. I am going to cross bridges when I come to them, and try not to worry which rickety crossings might be miles ahead. Some of you may (or may not!) have noticed that I haven’t written much on this blog lately. This is mainly a product of being busy and tired, and simply having other priorities. I started this blog for me and I see nothing wrong with using it however it suits me. But, it does make me happy when I write, and so I’m going to aim to write something once a week or so. I’m going to shift the focus of the blog slightly. I don’t want to change its name because that is too much of a faff, but I’ll probably change the tagline when I have time. 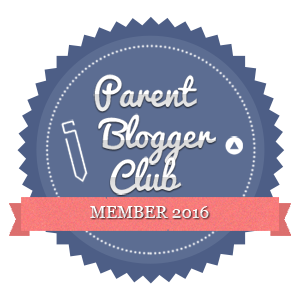 I’ve always called this a parenting blog, but that’s not really what it is. 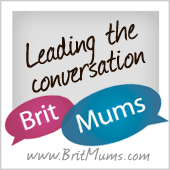 It’s more about life as a mum (rather than focusing on the actual children), and about how to look after yourself. I’ll have to think of a way to describe that in a catchy tagline! So my future posts will unashamedly be about me and how I’m surviving my busy life, only one aspect of which is being a mum. I’m also going to stop doing product/service reviews and sponsored posts. There will be one more sponsored post coming out this week, and that will be the last one. The main reason for this is that my new job prohibits that sort of moonlighting in my contract. I may still review things that I’ve paid for myself, but I won’t be accepting free products or any money to write posts. And so…onwards and upwards for 2018! Thank you to anyone who reads my little musings, and I wish you all the best for the year ahead. What are your resolutions this year, or are you a resolution refuser?